Critical thinking is the ability to apply logic, open-mindedness, rigor, and logical principles, to analyze and discuss topics, claims, situations, and issues in a clear and precise manner, citing supportive evidence. ability to review with an ANALYTICAL approach - what is being said, factually? ability to discern what is being INFERRED - what conclusions are being drawn from observations and hypotheses? 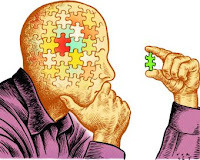 ability to INTERPRET - what does it all mean - how do the puzzle pieces fit together? ability to SELF-REGULATE - how does one examine one's own interpretation and assumptions and self-correct? ability to EVALUATE - what is the logical strength of the claim? ability to EXPLAIN - what are the results and evidence of one's reasoning? 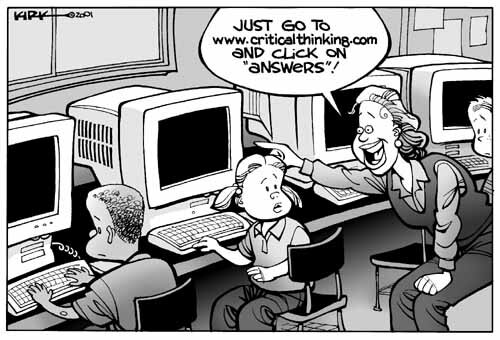 From the readings and our discussion, I am increasing aware of the impact of bias on the critical thinking process. Emotions, as we have discussed, are a strong component, to be recognized and given due examination. Assumptions are often endemic and seem to be a part of what one deems as factual. Perhaps, this is the first question when reviewing academic questions - what are my assumptions and biases? And then applying rigorous attention to evidence. A hearty task, indeed.